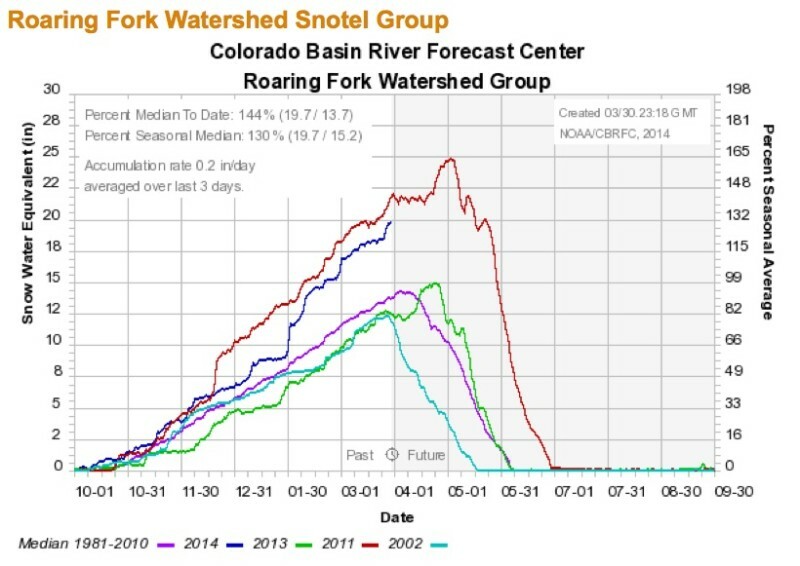 A snowpack chart reached via the Roaring Fork Conservancy's website showed that the snowpack in the Roaring Fork River watershed had climbed to 144 percent of average by March 30, 2014. 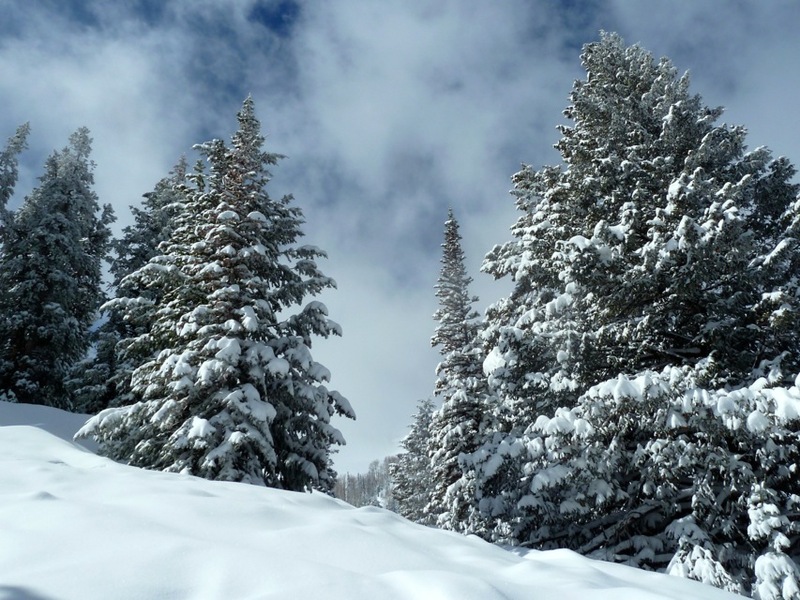 ASPEN – The snowpack in the Roaring Fork River watershed this week reached 127 percent of median, or normal, for March 27, and more snow is in the forecast for the coming week. The snowpack measurement for the high country around Aspen is from seven snow-measuring sites in the headwaters of the Roaring Fork River basin, including sites near Independence, McClure and Schofield passes. “The Fryingpan headwaters continues to have well above normal snowpack while the Crystal headwaters is closer to normal measurements,” the Roaring Fork Conservancy said in its weekly snowpack report about two large tributaries of the Roaring Fork River. The consistent fresh snow obviously makes for good skiing, and it’s also good news for both river-runners and water managers in the region looking toward spring run-off. 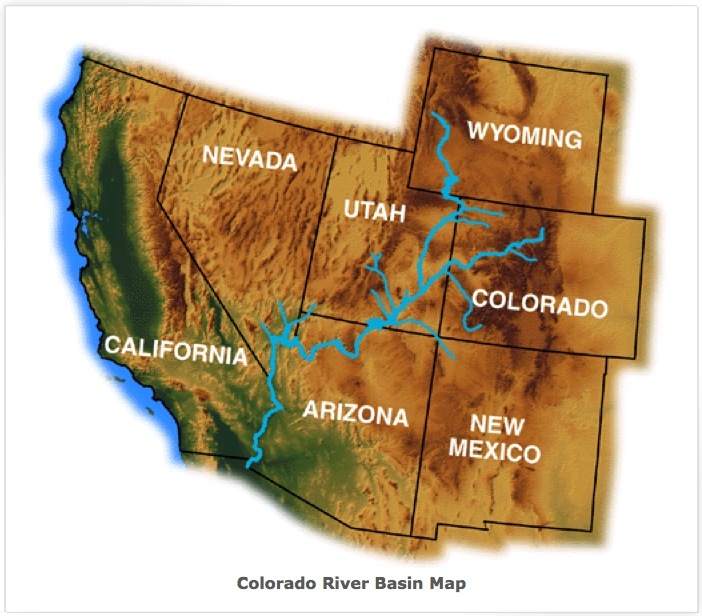 Pokrandt looks at the Roaring Fork River basin as just one of many in the sprawling Upper Colorado River basin, which includes both the Colorado River and the Green River as they flow toward Lake Powell on the Utah/Arizona border. Lake Powell today is only 39 percent full, however, so knowing that the snowpack in the broader Colorado River basin is at 111 percent of average is reason to smile for Western water managers. 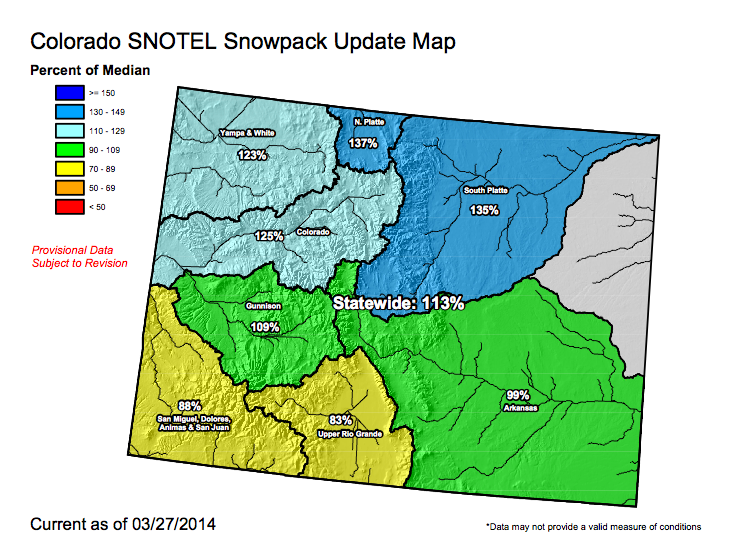 The snowpack in the portion of the Colorado River basin just within the state of Colorado is looking even better. It was at 125 percent on March 27 and climbed to 128 percent of normal by March 28. 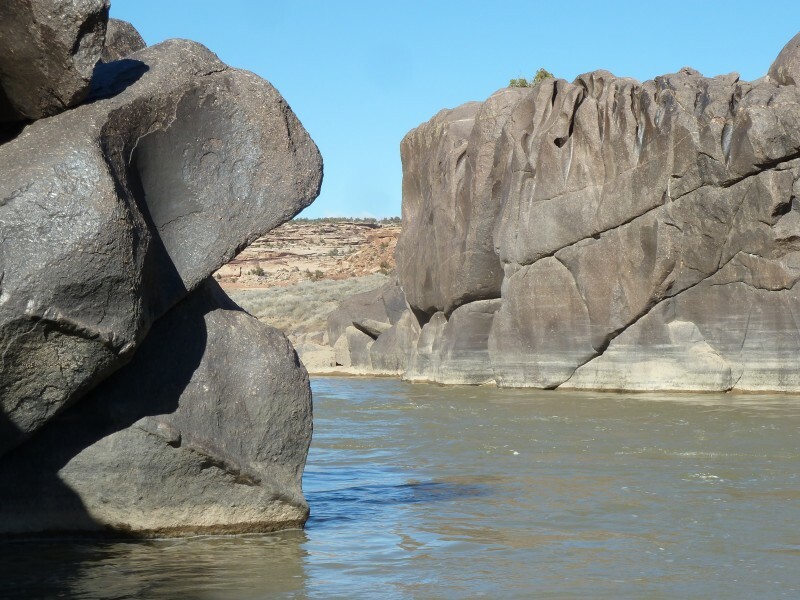 Also on March 28, the Yampa-White river basin was at 124 percent, the Gunnison River basin was at 111 percent, the Arkansas River basin was at 101 percent, and the San Miguel-Dolores River basin was at 90 percent of normal. The snow-covered South Platte River basin, which drains toward Denver and Nebraska, is at 135 percent of normal, giving it the third deepest snowpack in over 30 years, behind 1986 and 1996. The amount of snow in the high country around Aspen and in the Colorado River basin is now tracking closely with 2011, when regional snow levels peaked in early May and then produced a large and sustained runoff through the state’s rivers. 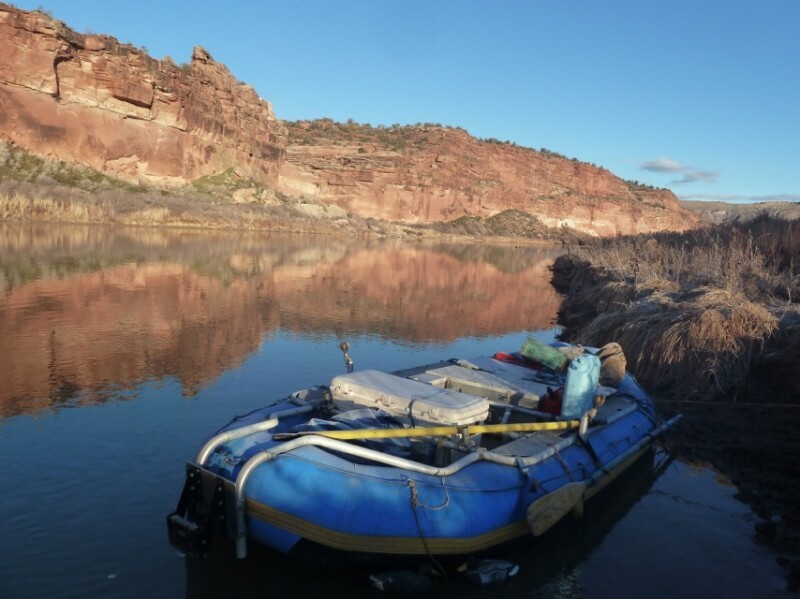 In June 2011, for example, flows in the Colorado River through Westwater Canyon in eastern Utah were approaching 50,000 cfs, truly a frightening spectacle for most boaters. The winter of 2011-2012 was relatively short and dry, and reservoirs around the state were drawn down throughout the summer of 2012. The snowpack in 2013 ended up just above the median level in late April, and water managers around Colorado were getting concerned about having enough water at this time last year. But the state’s reservoirs and rivers were then helped by long periods of rainy weather, which suddenly became too much water for some flooded rivers on the northern Front Range. The gateway in the Black Rocks section of the Loma-to-Westwater run. Water delivered to this point by nature and man is destined for Utah, Lake Powell, and beyond. This winter’s healthy snowpack has lead the managers of the Fry-Ark diversion project, which diverts water from Hunter Creek and the headwaters of the Fryingpan River under the Continental Divide, to forecast on March 1 that they would divert 73,000 acre-feet of water this season, well above the average diversions of 54,800 acre feet a year. As such, the Bureau of Reclamation is now releasing water out of Turquoise Lake reservoir, near Leadville, and Twin Lakes reservoir, in anticipation of the coming water from the Roaring Fork River watershed, according to the Pueblo Chieftain. Those releases have helped kick up the level of the Arkansas River to 490 cubic feet per second in The Numbers section of the river above Buena Vista, which is considered “lower runnable” for kayakers by Mountain Buzz. The bureau is also releasing water out of Ruedi Reservoir into the lower Fryingpan River, which is now running at 213 cfs. That’s 158 percent of average, and produces a current in the river strong enough to make some wading anglers uncomfortable. Ruedi Reservoir was 66 percent full on Friday. Releases from Ruedi have helped bring the Roaring Fork River, at its confluence in Glenwood with the Colorado, up to 595 cfs, while the median flow for this time of year is 574 cfs. Water is also being released out of Green Mountain and Dillon reservoirs on the upper Colorado River, according to Pokrandt. Those releases helped bring flows through Gore Canyon to 793 cfs on Friday, also considered a runnable level by Mountain Buzz. The Colorado River in March 2014 below Loma. Winter flows are typically low and slow. The Colorado River above Glenwood Springs was running 1,270 cfs Friday, which is enough water to boat the Shosone and Grizzly sections of the river, and the Colorado River at Loma was at 3,590 cfs. Big irrigation diversions above Grand Junction are just beginning, however, and those can drop the river level below them, especially if a cold snap sharply reduces runoff from the high country. Another factor that can change snowpack and runoff patterns is dust-on-snow events. The Center for Snow and Avalanche Studies in Silverton, which is managing the “Colorado Dust-on-Snow Program” reported the third dust-on-snow event of the winter on Wednesday, brought on by high winds transporting loose soil. Others logged by the program occurred on Feb. 16 and March 17. Dust on snow attracts more sunlight to the snowpack and hastens the melting process, which can change the timing of runoff from the high country. Editor’s note: Aspen Journalism and the Aspen Daily News are collaborating on the coverage of rivers and water. The Daily News published a version of the story on Saturday, March 29, 2014.